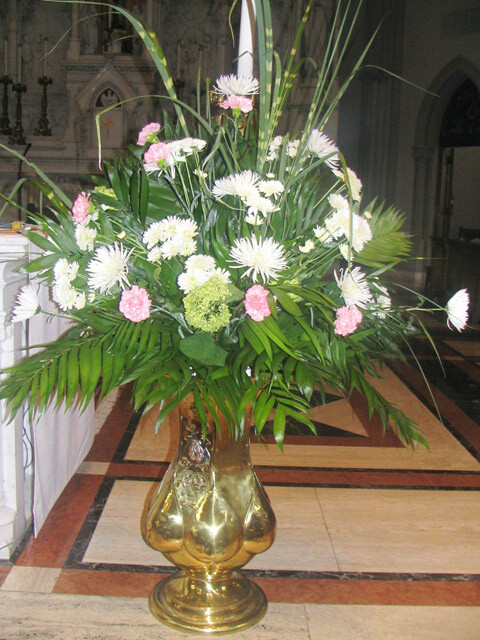 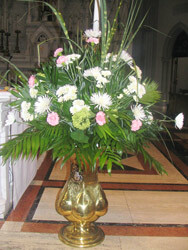 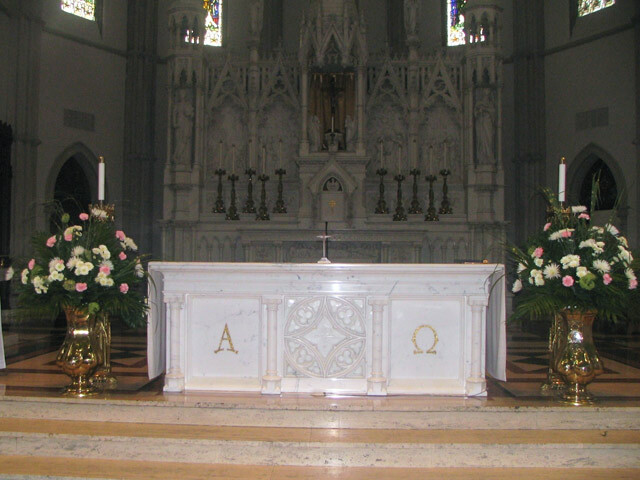 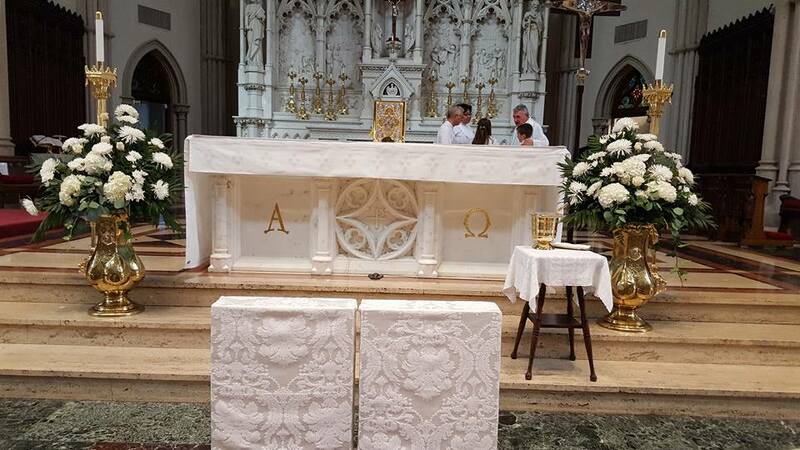 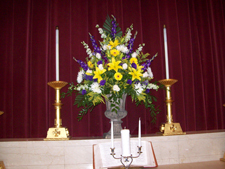 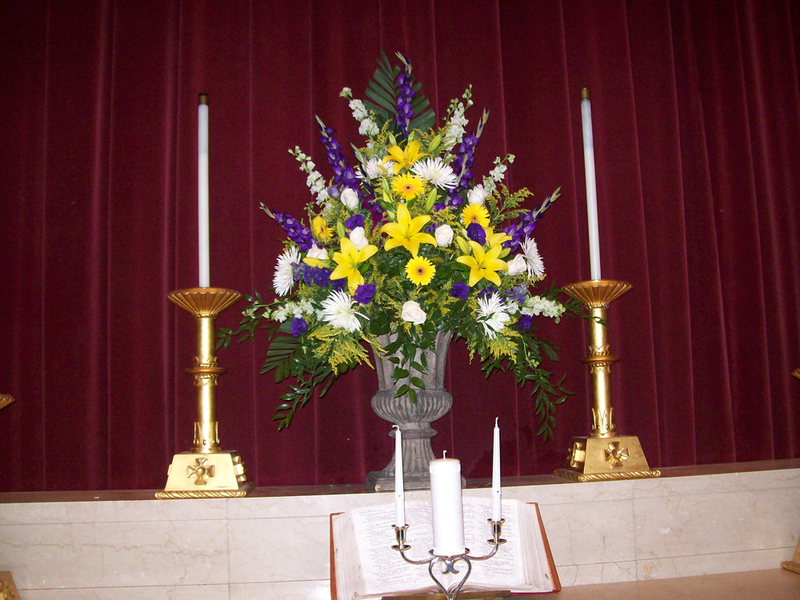 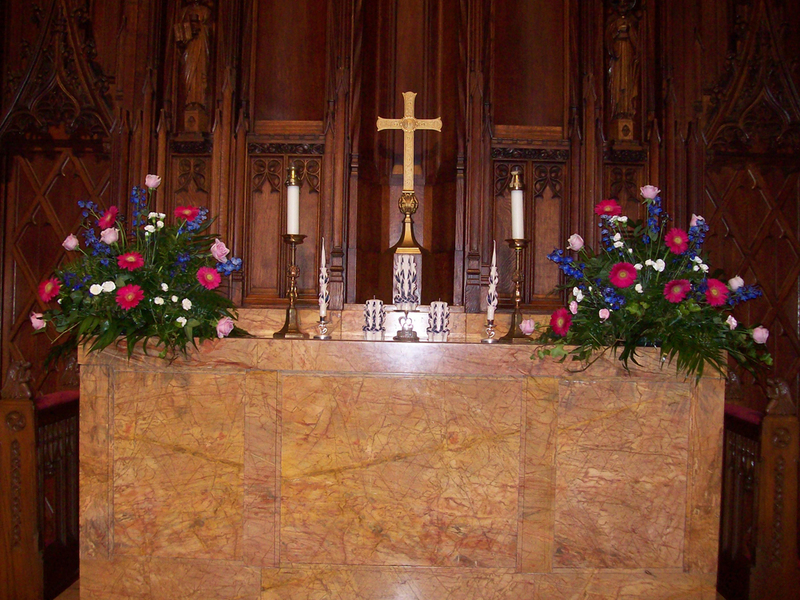 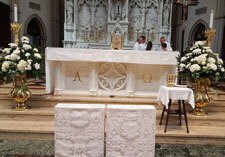 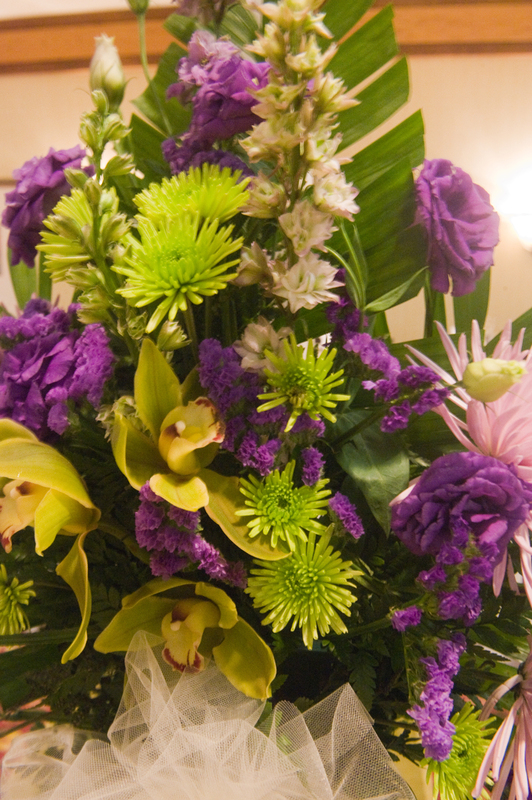 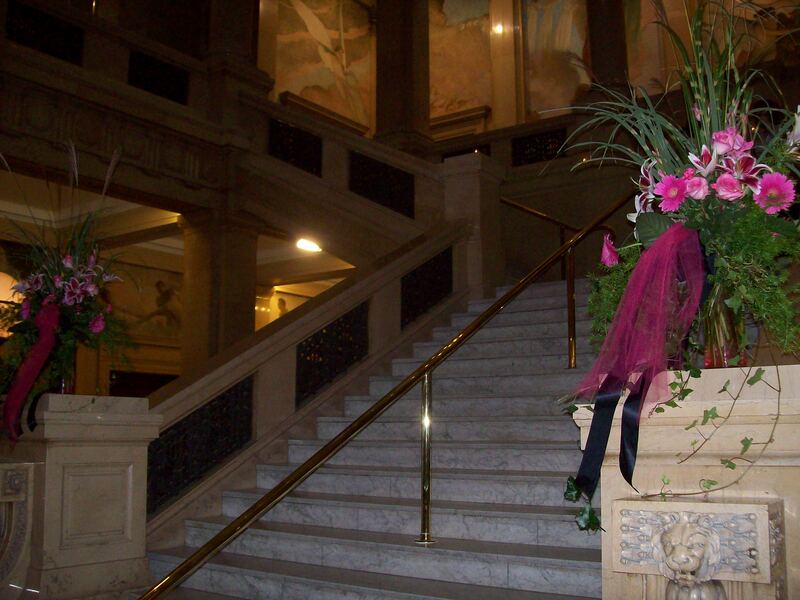 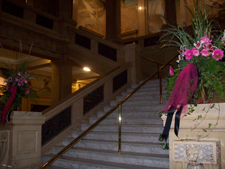 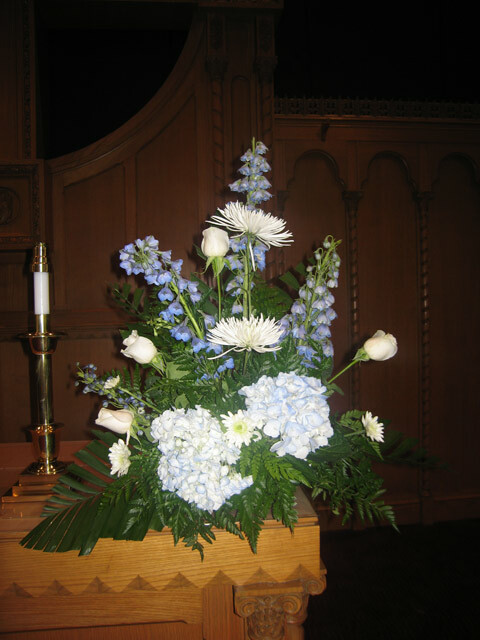 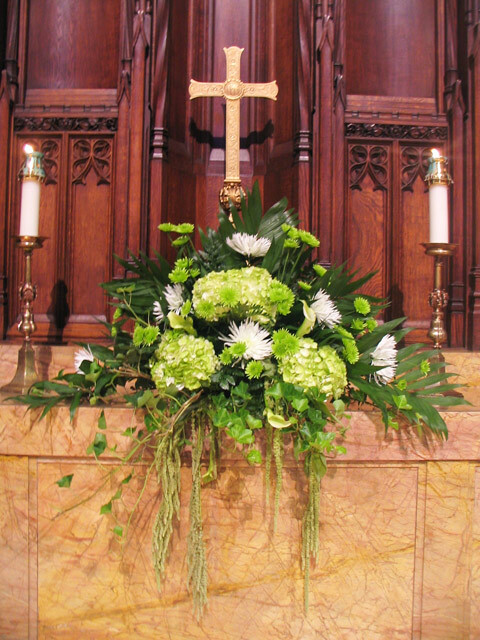 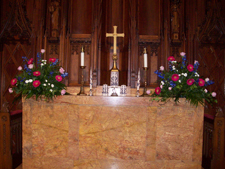 2 beautiful Heinz Chapel altar arrangements with pink gerbera daisies, lavender roses, delphinium and greens. 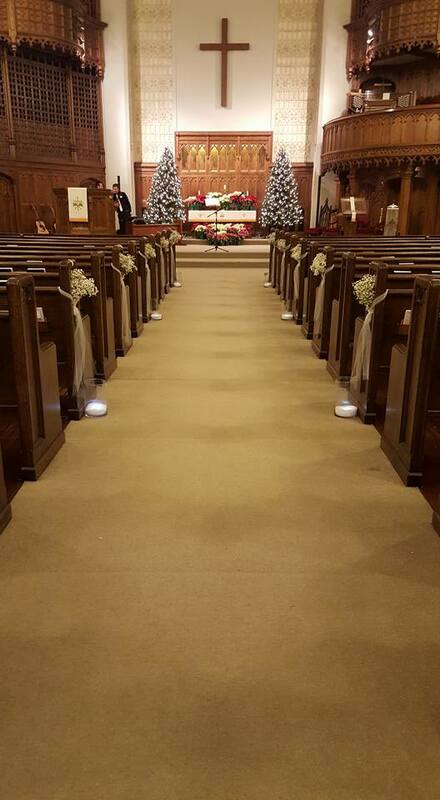 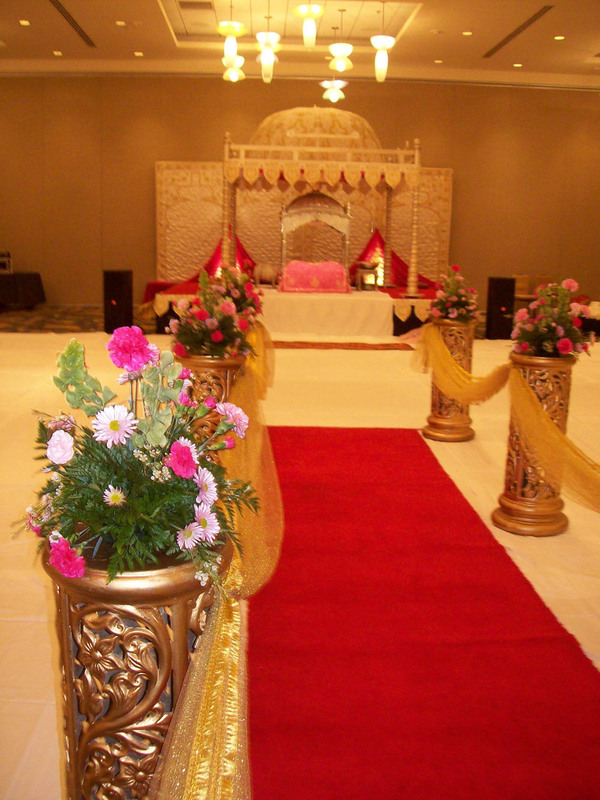 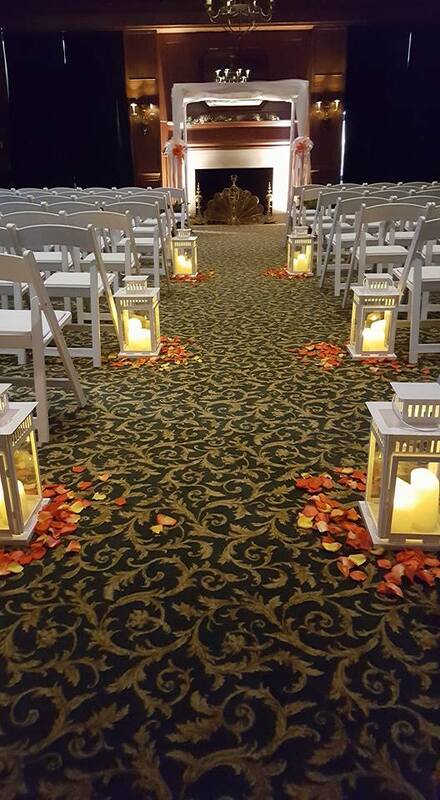 and rose petals down the aisle. cylinder vases down the aisle. 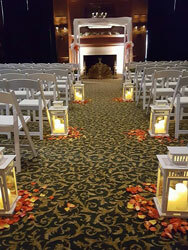 lanterns and orange roses petals. 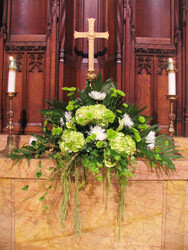 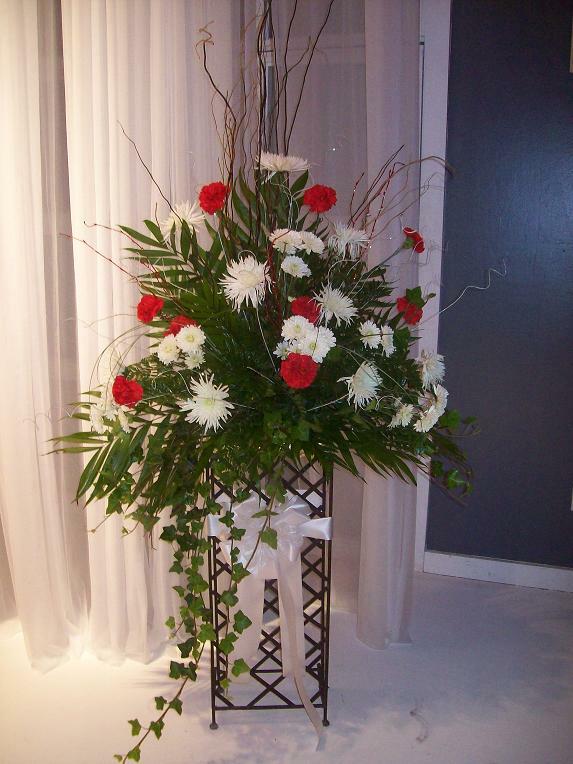 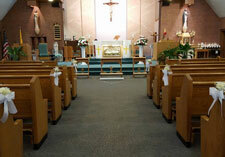 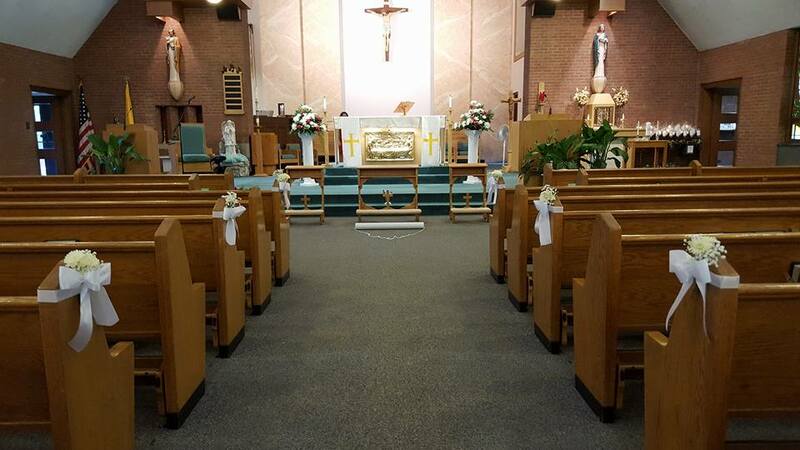 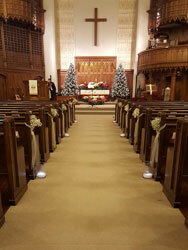 Church ceremony decorated with two large red and white alter pieces and pew accents of white mums and baby's breath with white satin bows. 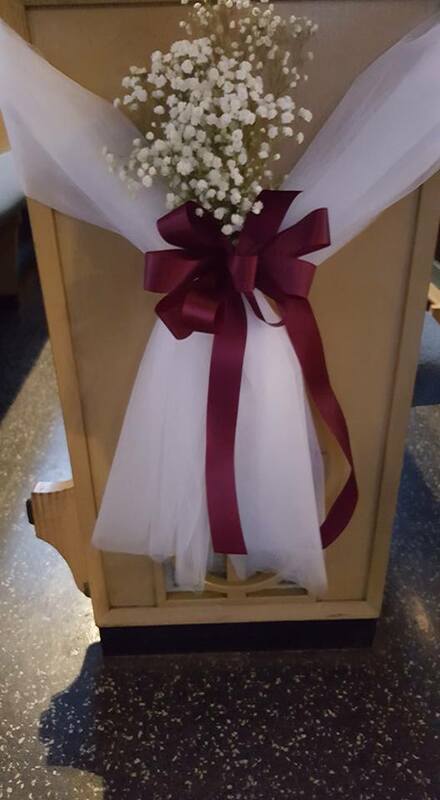 Pew wrapped with white tulle accented with baby's breath on burgundy bow. 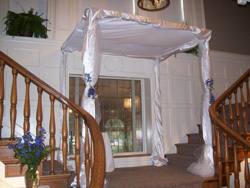 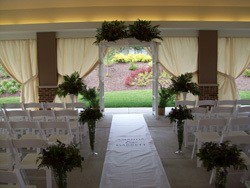 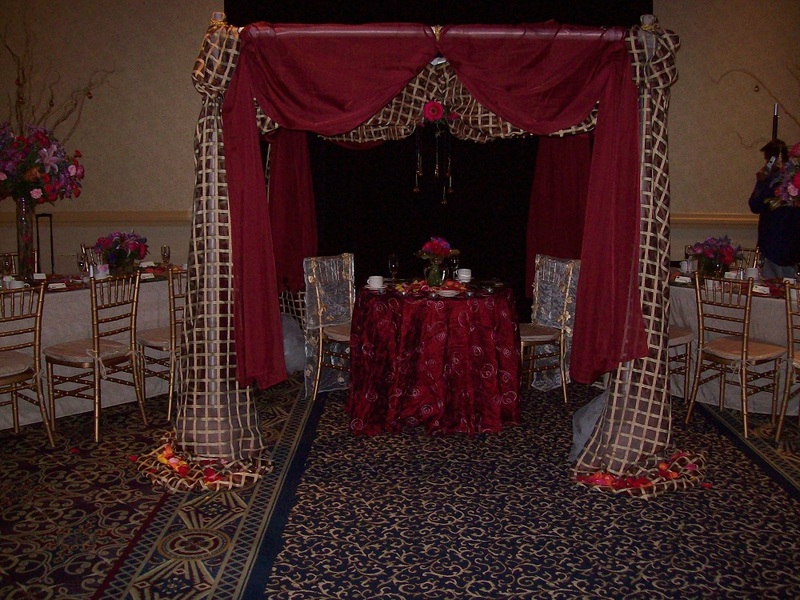 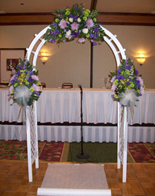 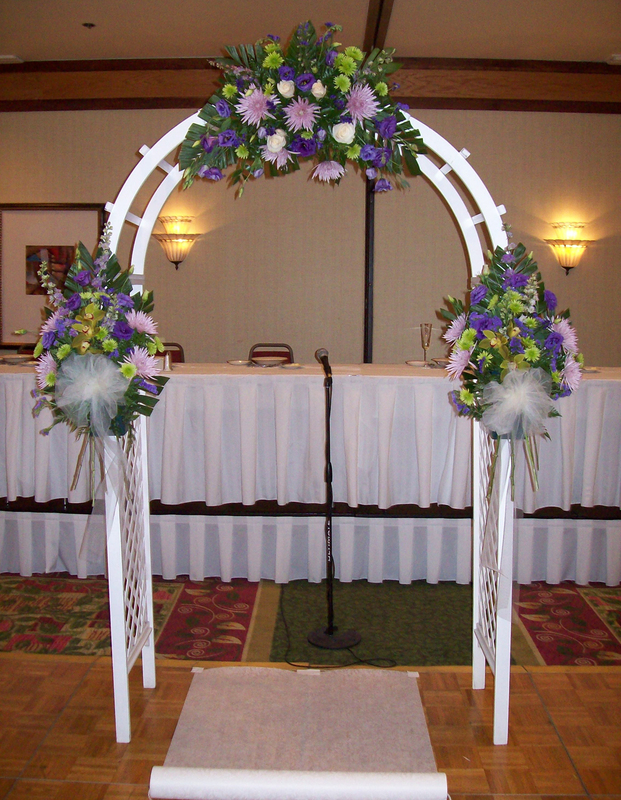 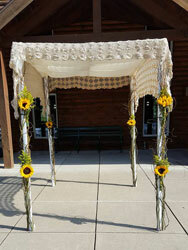 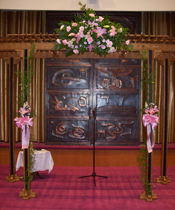 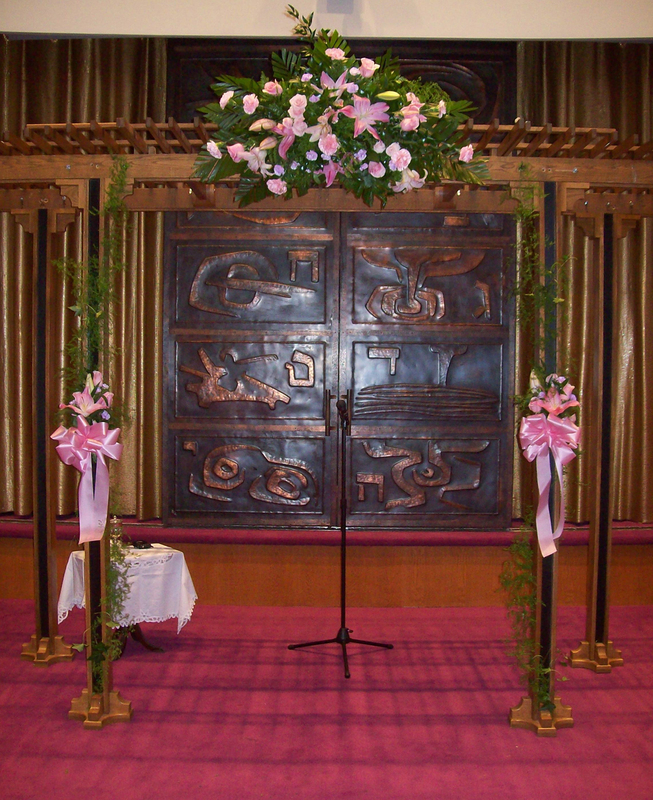 Beautiful chuppah with willow branches and sunflowers. 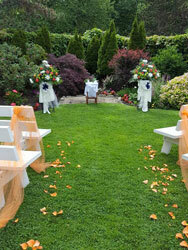 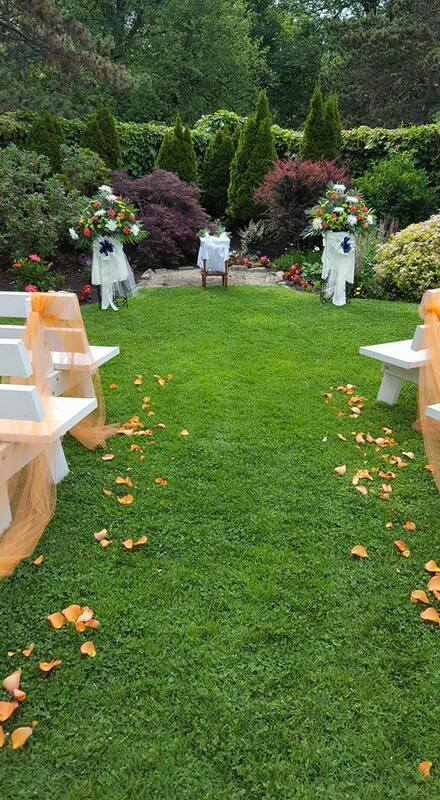 Outdoor ceremony space with two multi colored alter pieces accented with navy and white bow and an aisle decorated with orange tulle and orange rose petals. 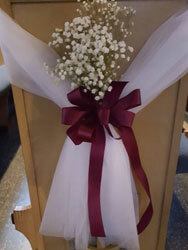 lanterns, vased baby's breath and tulle swag. 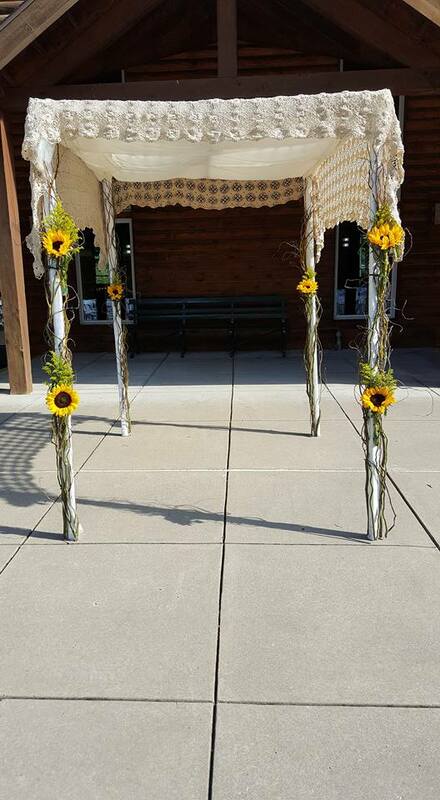 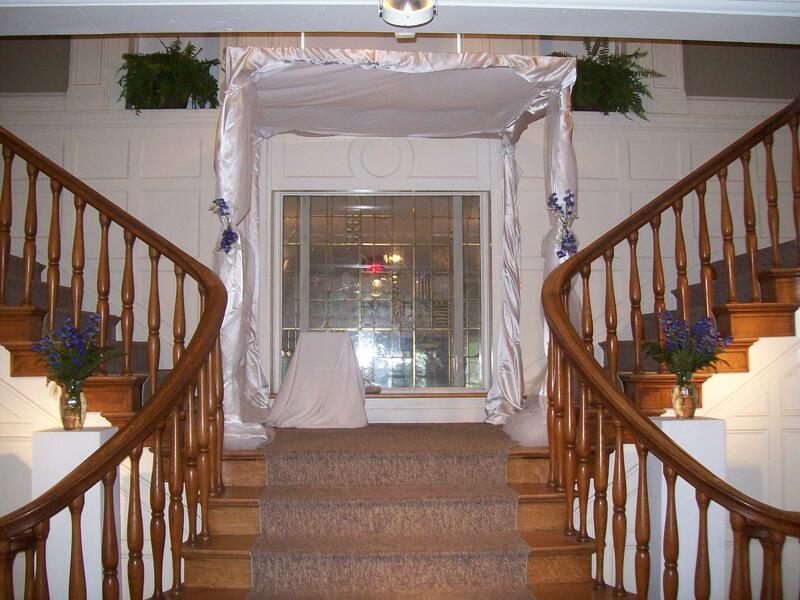 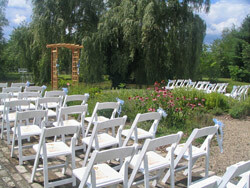 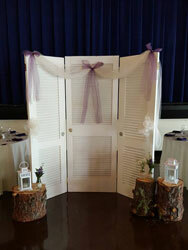 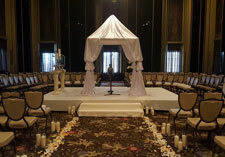 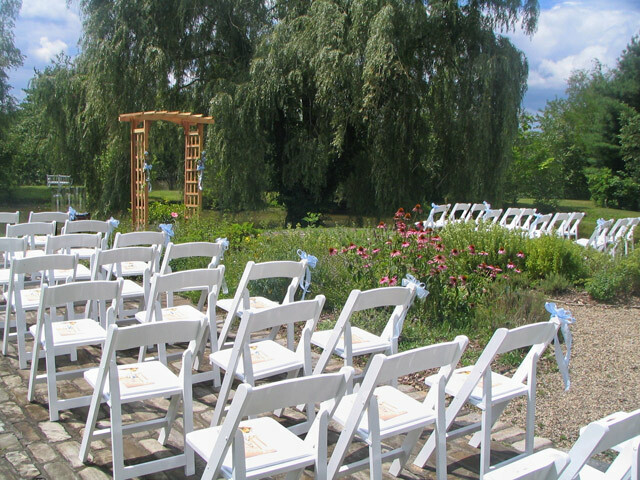 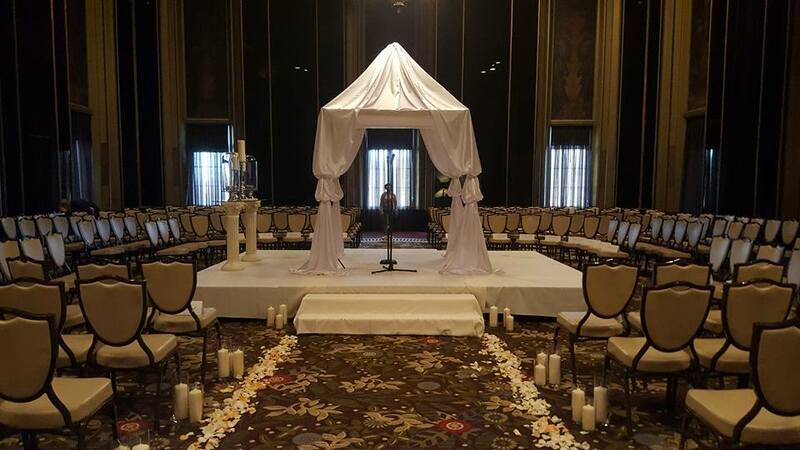 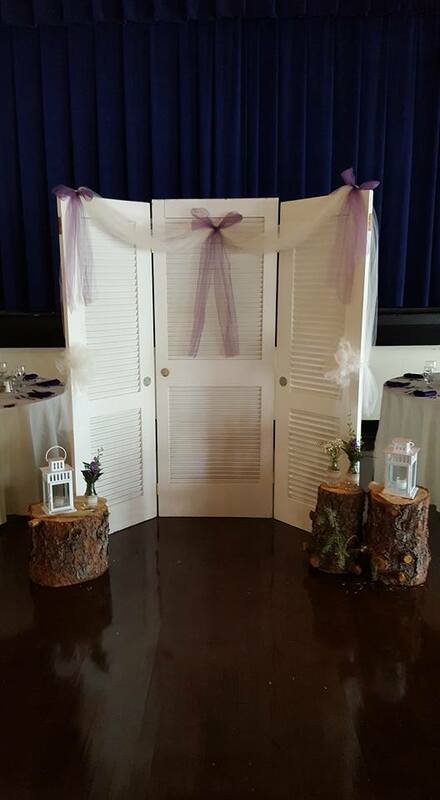 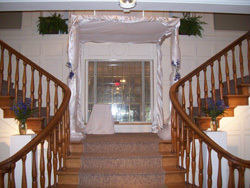 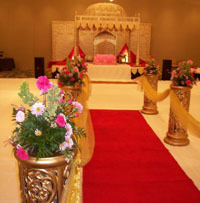 Beautiful Ceremony display at Chadwick in Cranberry, PA.